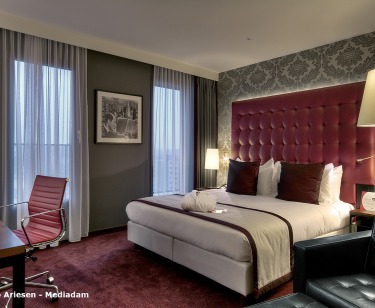 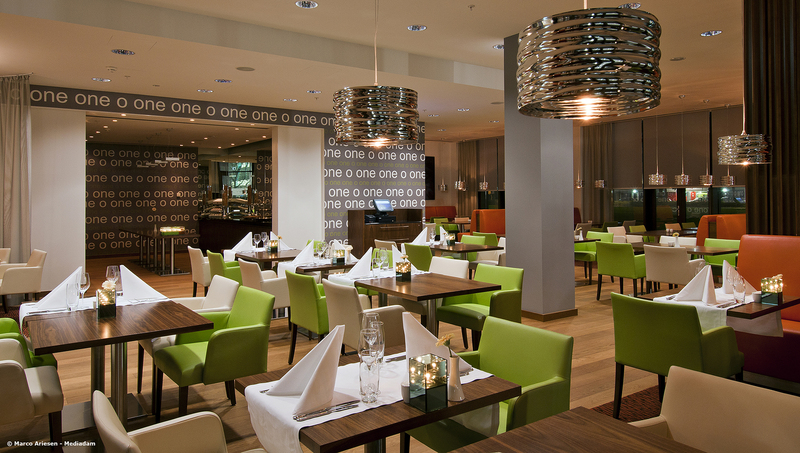 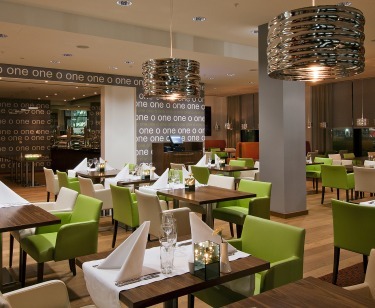 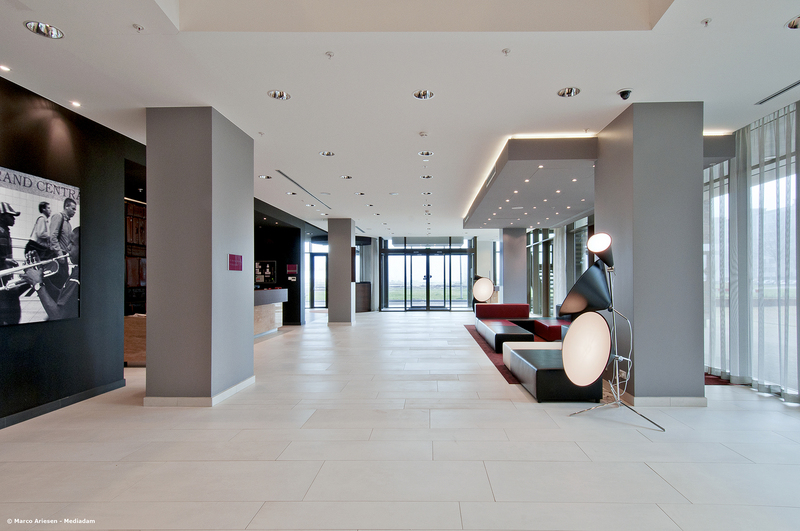 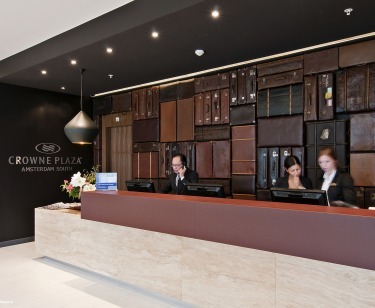 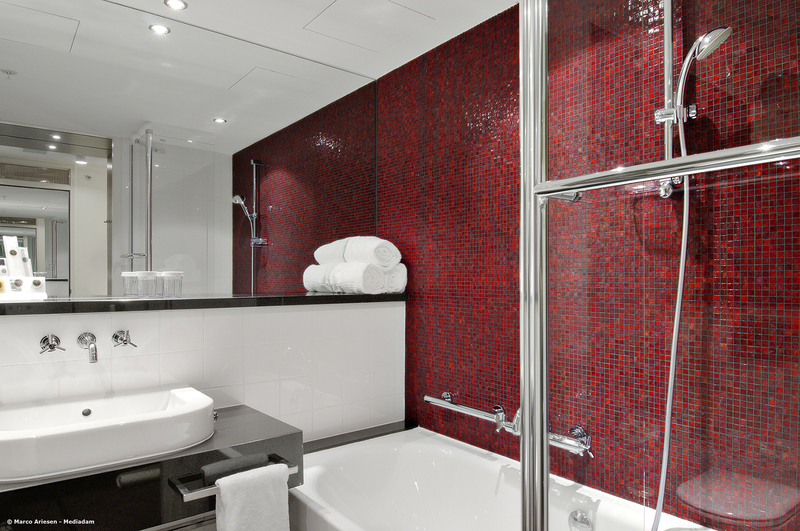 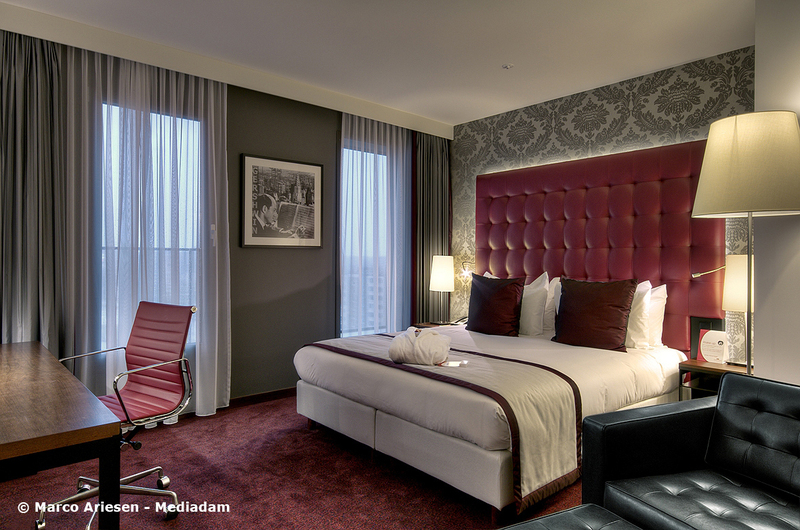 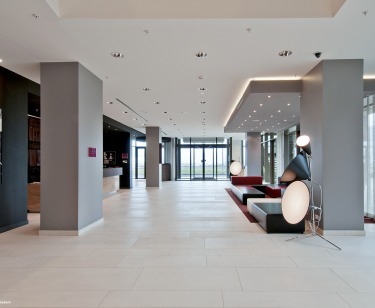 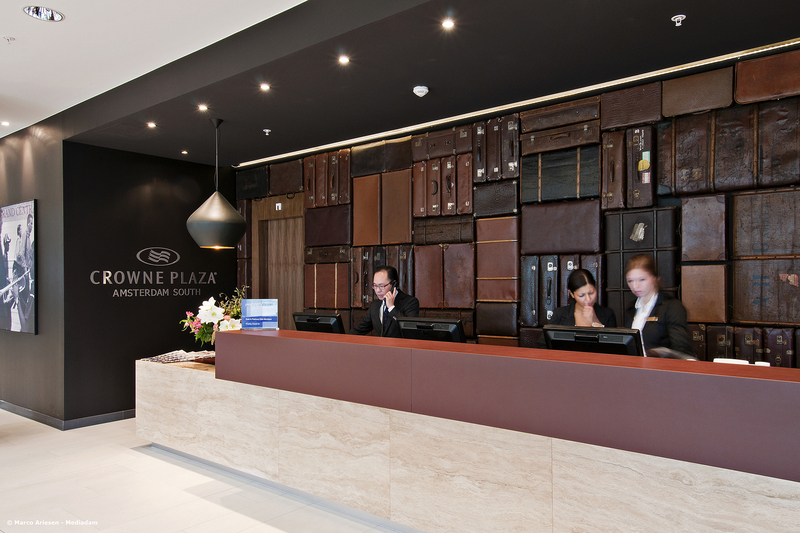 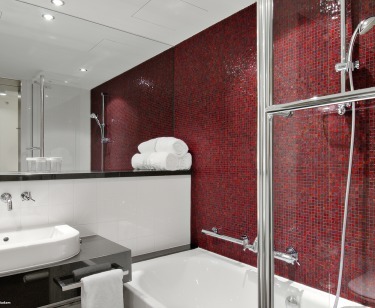 This sophisticated business hotel has 12 stories and is operated by the Intercontinental Group. 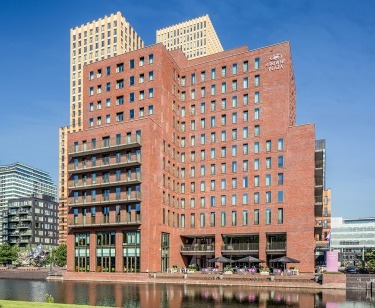 It is located in the “Amsterdam South-Axis“ office and business quarter. 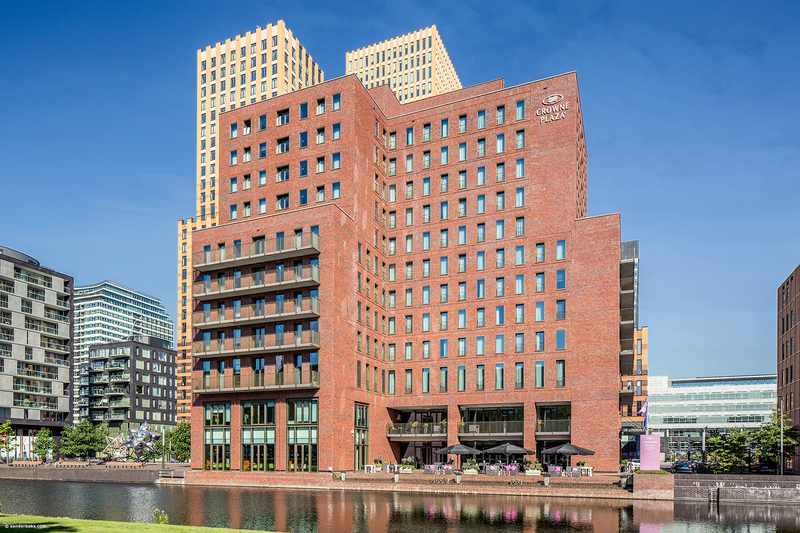 With its address – Gerschwinlaan – and industry-inspired architecture, the inspiration for the design is clear: New York, Gershwin and his times.